We are a volunteer group of people from the Blue Mountains, Australia, working together to create community-owned renewable energy projects right here in our unique World-Heritage listed area. Learn more about what community energy is here. In September 2011, a public forum on renewable energy was organised by Permaculture Blue Mountains, Katoomba Area Climate Action Now (now Climate Action Blue Mountains) and Transition Blue Mountains. 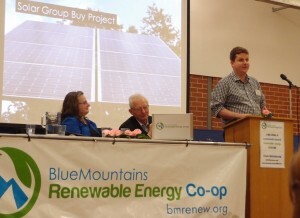 While the idea of a community energy project in the Blue Mountains had been talked about previously in these sustainability-oriented groups, the forum provided momentum to move the idea forward. Soon after, Climate Action Blue Mountains members invited community energy expert Nicky Ison, a Founding Director of the Community Power Agency, to visit the Blue Mountains and assist in developing the first steps of such a project. Nicky spoke at an information night, focused solely on community-owned renewable energy, in late November 2011 and followed that with a ‘first-steps’ workshop on 3 December. 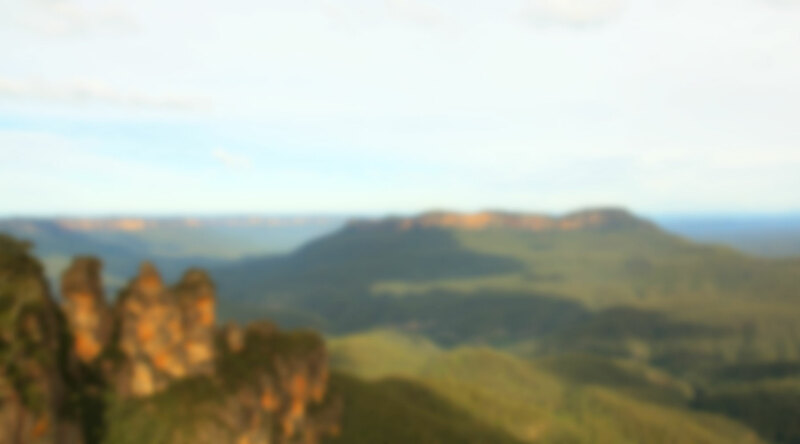 The project began to take shape and the Blue Mountains Renewable Energy Co-operative (BMRenew) was informally created. While community energy is a mature part of the energy sector in parts of Europe and North America, it is still in its infancy in Australia. When residents of the Blue Mountains hatched the idea of building community-owned renewable energy generation locally, there was a single existing community energy project, Hepburn Wind, which had only officially launched a month before our first steps workshop. In other words, we had a steep learning curve and spent considerable time investigating group structures, governance options, renewable energy technologies, business models and more. Working in between day jobs, family commitments and more, we slowly built the size of the group, put in place operating structures, defined our vision and goals, reached out to other local organisations including council and researched technology, finance and legal issues. Inspire and facilitate local, community owned renewable energy generation and energy efficiency initiatives, for the benefit of the environment and the community. Waste-to-energy (pyrolysis) – a fairly nascent technology, but a sophisticated way of using biomass for stationary electricity generation. Pyrolysis is currently only deployed in a pilot form in Australia but has great potential as both a source of clean energy and a solution to reducing green and organic waste in landfill, alongside composting. Wind turbines – subject to further investigation and discussion with the local community, there is an excellent high wind area in the corridor betwen Lithgow and Oberon, outside the World Heritage Area and National Parks of the Blue Mountains. This area is also close to large capacity sections of the electricity grid in place to take power from the coal power stations near Lithgow, one of which is now mothballed (not operating). The group, some members in particular, did a lot of work investigating the waste-to-energy option taking it to a near pre-feasibility stage. However, a draft change of policy by the NSW Government made it unproductive to continue pursuing the project – that policy has now reversed, making the waste-to-energy plant a live option again. However, in the interim, the group pursued commercial solar as an alternative and is focused on delivering a first solar project before taking on a different technology. 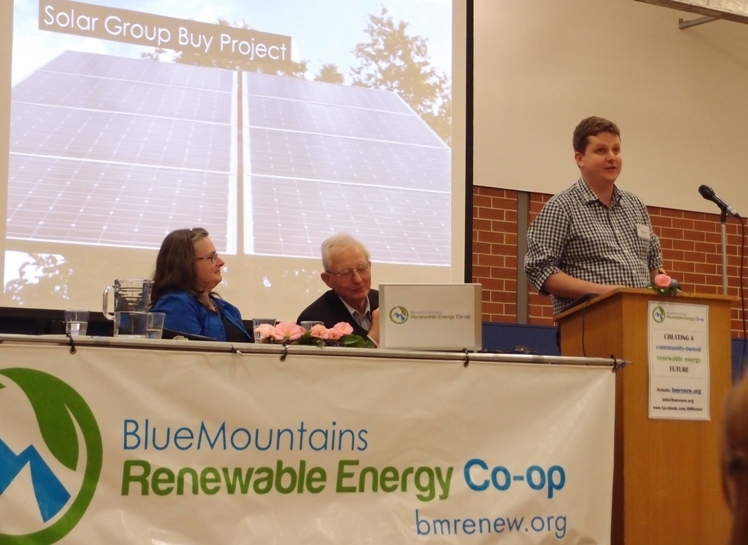 In August 2013, we held the official public launch for the Blue Mountains Renewable Energy Co-op (read more about it here) and by the end of the same month, formed officially as a registered co-operative with a board of nine directors. We are currently (as of mid 2014) a non-distributing (or non-trading) co-operative with no provision for issuing shares – this makes us a not-for-profit entity legally, but this may change once we work out the final details of the financial model for our first commercial solar project and we are committed to finding a model that makes a sound return for local investors as well as returning benefits to the community. We also have four loose working groups: Technology, Community Engagement, Finance and Facilitation – see the diagram below. Working groups report to members of the Co-op at monthly meetings, held every 2nd Saturday of the month at the Mid Mountains Neighbourhood Centre from 12pm to 2pm. We chose the legal structure of a co-operative because it matches our values and reinforces the way we want to do business. This is roughly how our working groups interact and take responsibility for different aspects of the organisation.